The British MoD is reporting the death of a British sailor from a traffic accident somewhere in Dubai on Sunday, February 27th. Until we learn more details this will not be counted as an OEF/OIF casualty. The Italian Defense ministry is reporting the death of an Italian ISAF soldier from an IED attack near Shindand, Herat province Afghanistan on Monday, February 28th. Four additional soldiers were wounded in the attack. Here's the ISAF release. NATO is reporting the death of an ISAF soldier from an IED attack in an undisclosed location in southern Afghanistan on Sunday, February 27th. NATO is reporting the death of an ISAF soldier from an insurgent attack in an undisclosed location in eastern Afghanistan on Sunday, February 27th. NATO is reporting the death of an ISAF soldier from an IED attack in an undisclosed location in eastern Afghanistan on Monday, February 28th. #1: In Baghdad, two people were wounded when a roadside bomb struck their car on the highway that passes through Doura district in southern the capital, an Interior Ministry source told Xinhua on condition of anonymity. #2: Separately, a roadside bomb went off near an oil tanker in Baghdad southeastern neighborhood of Kamaliyah, wounding the driver and set fire to the tanker, the source said. "An IED blew off in east Baghdad's Kamaliya district against a mobile oil-products tank early on Monday, wounding two persons. 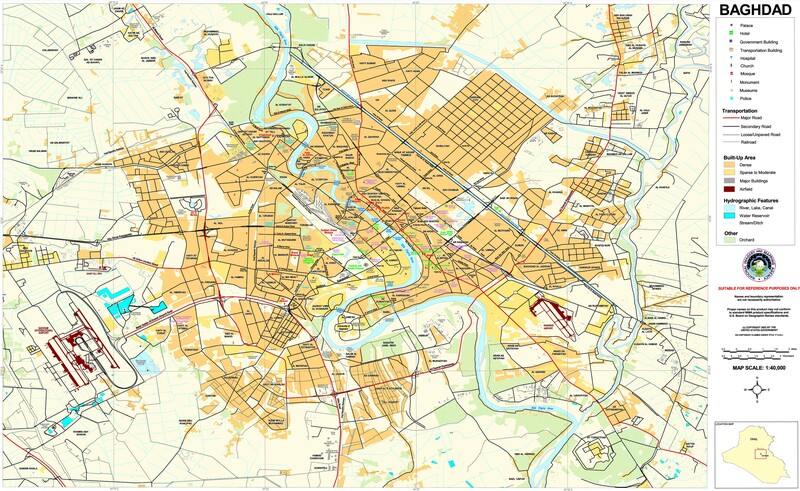 #3: Also in the capital, a makeshift bomb detonated outside a liquor store in Baghdad central district of Karrada, destroying the store and wounding a civilian, the source added. another IED blew off close to central Baghdad's Alwiya Telephone Exchange Office, aimed at an alcohol drinks shop, wounding two persons. #4: He said that a third IED blew off in central Baghdad's Mohammed al-Qassim Highway, wounding three persons. #5: a fourth IED blew off in southwest Baghdad's Amiriya District late Sunday night, against a vehicle belonging to the office Baghdad Mayor, wounding two persons, who were also taken to hospital for treatment. #1: Two Katusha rockets fell on Sunday night on a U.S. Army base in southern Iraq's Diwaniya city, an Iraqi Army source said. "Two Katusha rockets fell on the U.S. Echo Camp, 3 kms to the west of Diwaniya city, but losses were not known," the source told Aswat al-Iraq news agency. He said that air sirens were heard after the fall of the two rockets, adding that Iraqi Army and police forces rushed to venue of the attack, searching for the attackers in the streets of the city. The source added that the past few days had witnessed at least three attacks on the U.S. forces in the area, two of them with Katusha rockets and the third with an improvised explosive device (IED) that damaged an armoured vehicle. #1: In Diyala, a roadside bomb went off near a car carrying two off- duty policemen in a village near the town of Baldruz, south of the provincial capital city of Baquba, some 65 km northeast of Baghdad, killing one of them and seriously wounding the other, a source from the provincial operations command told Xinhua on condition of anonymity. #2: In a separate incident, three people were wounded in a roadside bomb explosion at a village near the town of Jalawla, 70 km northeast of Baquba, the source said. #1: A Canadian man is missing in Afghanistan, Canadian officials said Sunday, with the Taliban claiming they had captured him in a volatile central province because he was a spy. A spokeswoman for the Department of Foreign Affairs and International Trade in Ottawa said the man had travelled to Afghanistan as a tourist. #2: Unknown men kidnapped two lower court judges in Pakistan's troubled southwestern Balochistan province, local media reported Monday. Session Judge Jan Muhammad Gohar and Senior Civil Judge Muhammad Ali went missing along with their driver and body guard in Jafarabad district late Saturday night, the daily DAWN reported, quoting official sources. Three lawyers were also abducted last week from Sibi area of Balochistan. Further information is available on the attack yesterday on Iraq's largest oil refinery. The death toll is now reported as 1 worker. "Dr. Abdul Jabbar al-Halfi, a professor at Basra University's oil engineering department and frequent visitor to the Beiji refinery, pointed out that visitors to Beiji need a special badge to even get within a mile (2 kilometers) of the facility and suggested it might have been an inside job." Technicians say they can get the facility back on line in one week. [We shall see.] Meanwhile, the refinery accounts for 1/4 of Iraq's fuel production and the incident could exacerbate the electricity shortage which contributes to current unrest. Twenty seven demonstrators are injured in clashes with security forces. Five armed men are killed by security forces. One of the men blows himself up; others are shot dead. Baghdad is placed under a curfew to curb further demonstrations. Meanwhile, PM Nuri al-Maliki takes decisive action in response to the demonstrations, (not). He gives his cabinet ministers 100 days to shape up or he'll give them a negative evaluation. [That should put an end to any further unrest. -- C] Protest organizers are calling for a national "Day of Regret" on Friday, March 4 to mark the anniversary of the parliamentary elections,which have so far failed to produce effective government. New UK draft budget ends all aid to Iraq, among 16 other countries. NYT's Duraid Adnan gives an eyewitness account of the protest in Baghdad on Friday, including clashes with security forces. A child is killed and a civilian injured in a bomb attack on a police car in Herat. The DoD is reporting a new death unreported by the military. Staff Sgt. Jerome Firtamag died Wednesday, February 24th somewhere in the United States after contracting a non-combat related illness in Kandahar, Afghanistan on Wednesday, December 1st. #1: Gunmen attacked Iraq's largest oil refinery on Saturday, killing a guard and detonating bombs that sparked a fire and forced the facility to shut down, officials said. The assailants, carrying pistols fitted with silencers, broke into the Beiji refinery around 3:30 a.m., attacked the guards and planted bombs near some production units for benzene and kerosene, said the spokesman for Salahuddin province, Mohammed al-Asi. One guard was killed and another wounded, al-Asi said. By midmorning, firefighters were still trying to extinguish the blaze, said Iraqi Oil Ministry spokesman Assem Jihad. #1: A suicide bomber has blown himself up at a sports field in northwestern Afghanistan, killing at least four people. Governor of Faryab province, Abdul Haq Shafiq, says the bomber attacked Saturday while people were playing buzkashi, a traditional Afghan sport in which players on horseback wrangle for a headless goat carcass. He says four were killed and 19 people were wounded. Zemeri Bashary, a spokesman for the Afghan Minister of Interior, says the bomber attacked in Shirin Tagab district. #3: In Kabul, police said three rockets were fired Saturday morning in a public area in the capital but caused no damage. Militants have fired two rockets into Bagram Air Field in Kabul, the main US base in war-ravaged Afghanistan amid a surge in violence against the US-led forces in the country. The rocket attack on the US base -- located 11 kilometers southeast of Charikar in Afghanistan's Parwan province -- took place late Friday, a Press TV correspondent reported. Taliban spokesman, Zabihullah Mujahid, has claimed responsibility for the attack. Earlier, two rockets targeted central parts of Afghanistan's capital Kabul in an attack that left no casualties and caused damages to only a few buildings, officials say. #1: Gunmen opened fire at a security checkpoint manned by a government-backed militia, killing two militia members and wounding another in northern Hilla, 100 km (62 miles) south of Baghdad, police said. #1: Two policemen were wounded in a bomb blast in south of Kirkuk on Friday, according to a security source. “An improvised explosive device went off on Friday (Feb. 25) targeting a police vehicle patrol in al-Touz district, south of Kirkuk, injuring two policemen and damaging their car,” the source told Aswat al-Iraq news agency. #2: Three policemen were wounded when a mortar round landed near police station in central Kirkuk, 250 km (155 miles) north of Baghdad, police said. #1: Six members of one family were killed when unknown gunmen attacked their house Friday, security sources said. 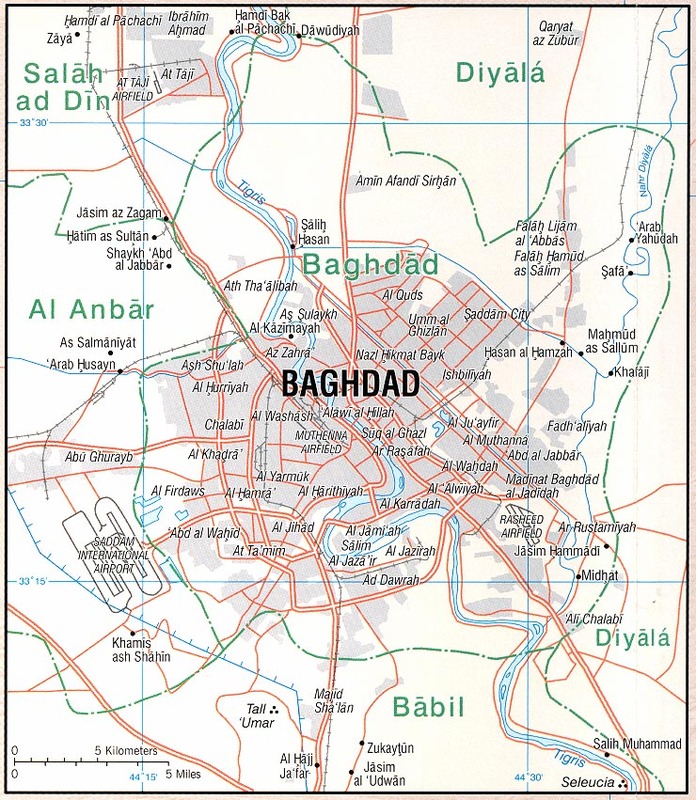 The attack took place in Falluja, 60 km west of Baghdad. Some members of the family worked with the Sahwa militia, the security sources said. #2: A civilian man was killed in an attack by gunmen in eastern al-Falluja city on Thursday, a local police source in al-Anbar province said. “Unidentified gunmen opened light weapons fire on a civilian who was getting out of his house in al-Bu Khalifa area, central al-Karma district, eastern Falluja, leaving him dead,” the source told Aswat al-Iraq news agency. “The civilian man was identified as the brother of the tribal chief of al-Karma,” he said, adding the police started a probe into the incident. #3: Eight people were killed and 12 others, including a senior official, wounded in an initial count of casualties from a deadly blast in the city of al-Ramadi on Thursday, a security source said. “A suicide bomber’s attack took place on 17 street, central Ramadi, leaving eight, including two policemen, killed and 12 others, including the deputy governor of al-Anbar Hikmat Jassem, wounded,” the source told Aswat al-Iraq news agency. “The bomber targeted a gala celebrating the Prophet Muhammad’s Birthday. “Deaths from the Ramadi blast rose to 13, including three policemen, and the wounded to 23, including four policemen,” the source told Aswat al-Iraq news agency. #1: Militants in Pakistan attacked tankers bringing fuel to NATO and U.S. forces in Afghanistan on Friday, killing four people in the latest strike on an important supply line to the Western-led war. Around 15 militants armed with rockets and guns stormed a roadside terminal on the outskirts of the northwestern city of Peshawar. At least 12 tankers were set ablaze in the attack, said police officer Liaquat Ali Khan. The dead men were drivers or their assistants, he said. #2: At least six people were killed Thursday evening when two U.S. drones fired missiles into the northwestern Pakistani tribal area of North Waziristan, local sources said. In the first strike, four missiles were fired at a suspected militants hideout at the Data Khel area near Miranshah, the main town in North Waziristan locals said. Shortly after the attack killed four people, a second pilotless aircraft landed two missiles at the same area, targeting a vehicle and killing two people near the border with Afghanistan. #1: In Baghdad, two policemen and a civilian were wounded by a roadside bomb explosion near a police patrol in the neighborhood of al-Hurriyah in northern the capital, an Interior Ministry source told Xinhua on condition of anonymity. Meanwhile, two more people were wounded by roadside bomb explosion in Baghdad's southeastern neighborhood of al-Rustamiyah, the source said. #1: father and his three sons were assassinated by gunmen linked to al-Qaeda in Iraq on Thursday, said a security source. The father and his sons were attacked in their home in the city of Baquba, about 60 kilometres northeast of the capital Baghdad. The gunmen stormed the house Thursday morning and shot all four in a barrage of bullets, said the security source. One of the sons worked as a policeman in the Diyala province, but it was not clear why the family had been targeted. In Diyala, gunmen wearing Iraqi army uniforms stormed a house in the town of al-Sa'diyah, 120 km northeast of Baghdad, and shot dead a man and his three sons, a source from the provincial operations command told Xinhua on condition of anonymity. #2: In a separate incident, a roadside bomb went off near a passing minibus near Diyala's capital city if Baquba, some 65 km northeast of Baghdad, killing a civilian and wounding two others, the source added. #3: Also in Diyala, Lieutenant Colonel Tha'ir al-Obiedi, deputy chief of the provincial operations command, escaped with wounds an assassination attack when a sticky bomb attached to his car detonated in eastern Baquba, the source said. #4: Separately, two people were wounded when a roadside bomb exploded in Baquba's northern neighborhood of al-Ameen, he added. #1: Iraqi soldier was killed and two more were wounded in a bomb blast in eastern Mosul, according to a security source. “An improvised explosive device went off on Wednesday afternoon (Feb. 23) targeting an Iraqi army vehicle patrol in Sumer neighborhood, eastern Mosul, killing a soldier and injuring two more,” the source told Aswat al-Iraq news agency. #1: An officer of a nationality affairs department was killed by a sticky bomb explosion in west of Mosul, according to a security source. "Lieutenant Hussein Mohammad Saleh, an officer of the national affairs department, was killed on Thursday by a sticky bomb explosion in Talafar district, west of Mosul," the source told Aswat al-Iraq news agency. "The bomb exploded as the victim was heading from his place to his work in Talafar," he added. #1: A government administrator says unidentified gunmen in southwestern Pakistan have attacked and set alight two NATO oil tankers that were traveling to Afghanistan. Abdul Aziz says the tankers were attacked Thursday as they were heading to the border town of Chaman in southwestern Baluchistan province. #2: A suicide car bomb attack killed an intelligence agent and wounded 26 other people in an Afghan town on the Pakistan border Thursday, officials said, in the latest in a wave of blasts. The explosives-packed vehicle with two bombers inside blew up in Spin Boldak after intelligence agents acting on a tip-off opened fire in a bid to stop it, Lutfullah Mashal, a spokesman for Afghanistan's national spy agency, said. “We had intelligence that it was coming. The car was located, there were two suicide bombers in it. Our officers shot at it and killed one of the bombers after it did not heed their order to stop,” he told AFP. “The second bomber was injured and he detonated his suicide vest, also setting off his friend's vest and the bombs in the vehicle.”Mashal added that one of the agents involved in the hunt in Kandahar province was killed and several other security officials were injured in the blast. Kandahar's provincial governor, Toryalai Wesa, confirmed the death and said 26 people including intelligence agents, police and civilians were injured. An intelligence agent was killed and at least two dozen people were injured in a suicide attack in the southern Afghan province of Kandahar on Thursday, officials said. Afghan security forces identified the bomber and attempted to stop him as he was driving into Spin Boldak district's main market, said Abdul Razeq, a border police commander. The bomber detonated his explosive-laden vehicle when he was surrounded by security personnel and bystanders, killing one intelligence agent and wounding at least 24. #3: Fire from a NATO helicopter allegedly killed five civilians including two children in north-eastern Afghanistan Thursday after mistaking them for militants, a local official said. The pre-dawn strike happened as the civilians were climbing a mountain for bird-hunting in Ala Sai district of Kapisa province, Mullah Mohammad Omari, the district chief, said, DPA reported. "Three of the men were carrying hunting guns and the NATO helicopter mistook them for militants," Omari told the German Press Agency dpa. Taliban militants are active in the Dra Shepi area where the incident took place, he said. The dead included a father, his 12-year-old son and 13-year-old nephew, Omari said. #4: Five civilians were injured Thursday as a roadside bomb went off in Khost province, some 150 km southeast of capital Kabul, officials said. The blast occurred at around 9:30 local time in Nadir Shah Kot district outside provincial capital Khost city, district chief Qasim Shirzai told Xinhua. He said the bomb was intentionally targeted a police vehicle that has passed the road but injured four civilians, Shirzai added. #5: A freight train was derailed Thursday when a section of the rail track was blown up in Chagai, a remote district in the southwestern Pakistani province of Balochistan, local sources said. No one was hurt but four railway cars of the train were overturned after the railway was hit in an explosion planted by some unknown militants at the town of Dalbandin, locals said. #6: Afghan forces have killed seven anti- government insurgents in the country's southern Helmand province on Wednesday, a press release of Defense Ministry issued here Thursday said. "During a joint operation of Afghan and NATO-led troop forces in Gereshk district of Helmand province on Wednesday, seven insurgents were killed, two were injured and another was captured," the press release said. #7: At least 10 militants were killed and several others injured as Pakistan's security forces targeted militants hideouts in the country's northwestern tribal area, officials said Thursday. The security forces backed by gunship helicopters carried out an operation at militant insurgent Spair Kat and Chanarak areas of Kurram agency, a main area in the tribal belt some 134 km west of Peshawar, the capital of Khyber Pakhtunkhwa province. In the operation, the security forces also destroyed a vehicle and two militant hideouts in Kurram. Kurram is one of the seven militancy-hit agencies in the tribal belt of Pakistan along the border with Afghanistan. NATO is reporting the death of an ISAF soldier from an IED strike in an undisclosed location in southern Afghanistan on Tuesday, February 22nd. #1: Security forces on Tuesday foiled an attempt to blow up an army camp by a car bomb in north of Kut, a military source said. “A security force foiled an attempt to blow up al-Nuaamaniya military camp in north of Kut by a car bomb,” the source told Aswat al-Iraq news agency, noting that the force seized a military bus carrying an amount of bombs before entering the camp. #1: Seven people were killed in clashes between police and gunmen in the northern Iraqi city of Mosul on Tuesday, a security source said. Three policemen, a gunman and three civilians were killed when the clashes erupted in the western part of the city. #2: Ten civilians, including women and children, were wounded in an explosive charge blast in eastern Mosul, a security source said. “An improvised explosive device went off in a market in al-Muthanna neighborhood, eastern Mosul, injuring ten people, including three women and three children,” the source told Aswat al-Iraq news agency. #3: Two Iraqi soldiers were killed in a bomb explosion in western Mosul, a security source said.“Two Iraqi soldiers were killed on Tuesday evening (Feb.22) by a bomb blast, placed in a refrigerator, in al-Harmat region, western Mosul,” the source told Aswat al-Iraq news agency. #1: Three soldiers were wounded on Tuesday in a bomb explosion in west of Anbar province, according to a security source. “An improvised explosive device went off on Tuesday (Feb.22) targeting an army vehicle patrol near al-Qaem hospital, west of Anbar, injuring three soldiers and damaging the vehicle,” the source told Aswat al-Iraq news agency. #2: A number of people were killed or wounded in two simultaneous explosions in central Ramadi on Tuesday, according to a security source. “Two bombs exploded simultaneously on Tuesday (Feb. 22) near al-Mustawdaa street in central Ramadi, leaving unspecified number of casualties,” the source told Aswat al-Iraq news agency. #1: Three Iowa National Guard soldiers were wounded Monday by a roadside bomb in Afghanistan. The bomb exploded near the soldiers' armored truck during a morning patrol in Laghman Province, which is in eastern Afghanistan. The men all were taken to a military hospital at Bagram Airfield. Redell's father, Tim Redell, said the three soldiers were riding in an MRAP truck, a heavily armored vehicle designed to deflect bomb blasts. He said he had been told the soldiers were attacked with a large bomb, plus small-arms fire. He suspects the truck saved lives. #2: Eight militants were killed when forces targetted their hideouts in Dabori village in upper part of Orakzai Agency on Tuesday, local sources said. The sources said the forces hit the hideouts after the militants attacked a security checkpost in the area. However, the forces successfully repulsed the attack. The sources said the forces launched operation after the incident and hit various hideouts. At least eight militants were killed in the attack. On the other hand, a militant commander identified as Ghuncha Gul committed suicide in Mishti area in lower part of Orakzai Agency early in the day. DoD: Sgt. Robert C. Sisson Jr.
NATO is reporting the death of an ISAF soldier from an IED strike in an undisclosed location in southern Afghanistan on Sunday, February 20th. News reports that a Georgian soldier died and two others were wounded in a mine explosion in Helmand province. 'Killer' diplomat a CIA agent? #1: Three Iraqis, including a soldier, have been injured in an improvised explosive device (IED) blast east of Baghdad on Tueday, a security source said. "An IED blew up against an Iraqi Army parol in eastern Baghdad on Tuesday, wounding one of its soldiers and two civilians, who happened to be close the venue of the attack," the security source told Aswat al-Iraq news agency. #2: An Iraqi civilian has been injured in an explosion that took place in a mobile oil tank in southern Baghdad on Tuesday, a Baghdad security source said. "An improvised explosive charge (IED) blew off against a mobile oil tank, carrying oil products, in southern Bagdad's Daura distinct on Tuesday, wounding a civilian," the security source told Aswat al-Iraq news agency, adding that the explosion had set fire to the mobile tank. #1: an immigrant family's house was attacked in the same city by an improvised explosive device (IED) on Monday, the security source told Aswat al-Iraq news agency. He said the IED blew up in the family's house, wounding one of its members and causing severe damage to the house. #2: A Muslim mosque preacher had been assassinated in an attack by unknown gunmen in northeastern Iraq's city of Baaquba on Monday, a security source said. an unknown armed group broke through al-Bukhary Mosque in Miqdadiya township, 45 kms to the northeast of Baaquba, opened fire on its Preacher, Sheikh Qassim Balasim, killing him on the spot. #1: “A joint patrol of emergency police and U.S. troops seized on Monday evening (Feb.21) a car laden with TNT in Wahed Hozayran region, southwestern Kirkuk,” Brigadier Sarhad Qader told Aswat al-Iraq news agency. #2-3: “An explosive charge went off near a patrol of the Kirkuk Districts Police Department (KDPD) in al-Huweija, southwest of Kirkuk, without causing damage, while another bomb exploded in Teseen region, causing some material damage,” he added. #1: One civilian was killed on Monday in a sticky bomb explosion in central Falluja, according to a police source. "A bomb, stuck to a civilian car, went off near Othman mosque in al-Muaalamen neighborhood, central Falluja, killing him instantly and damaging the car," the source told Aswat al-Iraq news agency. #1: A roadside bomb targeting a paramilitary vehicle in Pakistan’s southwest wounded three soldiers, police said. Police official Mohammed Aslam Bangalzai said Tuesday’s attack happened in Gwadar, a port city in the southwestern province of Balochistan. He said the bomb was believed to be attached to a motorcycle. #2-3: update Two US drone strikes Monday killed at least 15 alleged militants linked to Al Qaeda in Pakistan's tribal region along the Afghan border, intelligence officials said. #2: An unmanned aircraft fired four missiles into a suspected Al Qaeda training centre in the early hours in Birmal area, 13 km west of Wana, the main town in South Waziristan district. "Seven people died in the attack," a local intelligence official said on condition of anonymity. "Three Arabs and two Turkmen are among the dead," the official added. The other two alleged militants were locals, he said. #3: Several hours later, another drone attack hit the neighbouring district of North Waziristan district, killing eight people. "Four missiles fired from a drone destroyed a compound in Spalga village near Miranshah," said a third intelligence official who also sought anonymity. #4: An explosion rocked a Kabul district that is home to the headquarters of the Nato-led International Security Assistance Force and near the presidential palace and many embassies, a police source said on Tuesday. “The explosion was in Shashdarak district. We don’t know whether it was a bomb,” the source told Reuters. He asked not to be named as he is not authorised to talk to the media. ISAF said they were not immediately aware of any explosion. #5: An explosion wounded five people in a market in northwestern Peshawar on Tuesday, police said. At least 14 people were injured Tuesday in a grenade attack in Pakistan's northwestern city of Peshawar, police sources said. According to security sources, some unknown miscreants riding on a motorcycle attacked an electric pole with a hand grenade in the Shafi market in the cantonment area of Peshawar, the capital of Khyber Pakhtunkhwa province. The impact of the blast also destroyed a transformer at the pole damaging some nearby shops. People were injured in the destroyed shops. The DoD is reporting a new death unreported by the military. Staff Sgt. Bradley C. Hart died from a non-combat related incident at Camp Lemonnier, Djibouti, Africa on Thursday, February 17th. The French DM is reporting the death of a French ISAF soldier from a small arms fire/anti-tank attack near the village of Landakhel in valley of Kapisa, Kipisa province, Afghanistan on Saturday, February 19th.Two additional soldiers were wounded in the attack. Here's the ISAF release. The Australian DoD is reporting the death of an Australian ISAF soldier from small arms fire in an area to the South East of Patrol Base Wali, Uruzgan Province, Afghanistan on Saturday, February 19th. An Afghan interpreter was also killed in the attack. Here's the ISAF release. NATO is reporting the death of an ISAF soldier from an IED strike in an undisclosed location in southern Afghanistan on Sunday, February 20th. #1: Baghdad's Internal Security Forces' Appeals Judge has escaped an assassination attempt, when an improvised explosive device (IED) blew up against his motorcade in southern Baghdad on Monday. "An IED blew off against the entourage of Baghdad's International Security Forces' Appeals Judge, Brig. Abdul-Mun'im Mowla, in southern Baghdad's Daura district, slightly wounding two of his bodyguards and causing damage to a number of his entourage cars," the source told Aswat al-Iraq news agency. #1: At least 12 police officers were killed and 20 others wounded when a suicide bomber drove his explosive-laden vehicle into the federal police headquarters in the city of Samarra, authorities said. The attack took place in the al-Ashaq district of Samarra, police said. #1: "The body of an Egyptian man was found killed in his house in central Kirkuk's Shaturlu district on Sunday night," Brig. Sarhad Qadir told Aswat al-Iraq news agency. #2: In another incident, Kirkuk's Miqdad Police Director, Kamel Ahmed, said that four unknown gunmen, have abducted a Turkoman citizen close to his house in the main road leading to Baghdad in southern Kirkuk. "The abducted man works in a money exchange bureau close to Kirkuk's Grand Nur Mosque," he said, giving no further details. #1: At least two people died and six others were wounded Sunday when a suicide bomber drove an explosive-laden vehicle into a Sunni mosque at the conclusion of a birthday celebration for the Muslim prophet Mohammed, according to local police. Police told CNN that the attack happened as worshippers were leaving the Mara al-Hayss mosque in Shirqat, a small town in the Nineveh provice about 300 kilometers (186 miles) north of Baghdad. #2: Two suicide bombers have been killed in an improvised explosive device (IED) accidental bast in a civilian car in Salah al-Din Province's Shirgat township on Sunday night, a Shigat security source said. "An IED blew up accidentally inside a Corona civilian car in central Shirgat on Sunday night, killing two persons that were discovered to be suicide bombers," the security source told Aswat al-Iraq news agency. #1: Monday's suicide attack in Kunduz province 250 km north of Afghan capital Kabul has killed 31 so far, an official said. "In the suicide attack that targeted the office of Registration and Census department at 12:15 p.m. local time in Imam Sahib district today, 31 people including women and children have been registered dead and 39 others sustained injuries," district governor Mohammad Ayub Haqyar told Xinhua. #2: A suspected U.S. missile strike killed four alleged militants in a Pakistani tribal region along the Afghan border early today, Pakistani intelligence officials said. The two intelligence officials say three missiles hit a house overnight Monday in the Kaza Panga village of the Azam Warsak area of South Waziristan tribal region. The exact identities of the dead were not immediately clear. #3: Afghan officials said on Monday that six members of the same family were killed overnight when a NATO air strike mistakenly hit their home. 'The airstrike was originally targeting three insurgents who were planting mines on a road. One missile mistakenly hit a house and killed six civilians, all members of the same family,' Ahmad Zia Abdulzai, Nangarhar provincial spokesman, told AFP. #4: Tribal elders in a remote part of northeastern Afghanistan claimed Sunday that NATO forces killed 64 civilians in air and ground strikes over the past four days. The international coalition denied the claim, saying video showed troops targeting and killing dozens of insurgents. Coalition and Afghan officials plan to go to the Ghazi Abad district of Kunbar province, a hotbed of the insurgency, on Monday to investigate. Civilian casualties have been a constant source of friction between coalition troops and Afghan President Hamid Karzai. Tribal elders told the provincial governor that air strikes hit a village in the area and that "women and children had been killed inside their houses," said Nawrdin Safi, a member of the Kunar provincial council. Kunar province police chief Gen. Khalilullah Ziayi said local residents claimed 15 men, 20 women and 29 children or young adults were killed during operations in the area, about 190 kilometers (117 miles) east of Kabul. About 30 armed men attack the offices of a Kurdish television channel, NRT, and burn it to the ground. The station had just recently gone on the air and has been covering the demonstrations in the region, including violence against protesters. It's editorial leadership has been critical of the Kurdish regional government. AFP has additional details. The Kurdish opposition Goran movement accuses the Kurdish Democratic Party of setting a fire that destroyed it's headquarters in Shaqlawa on Saturday. The local authorities deny this and say the fire was accidental. Yahya Barzanji of the AP discusses the unrest in Kurdistan. 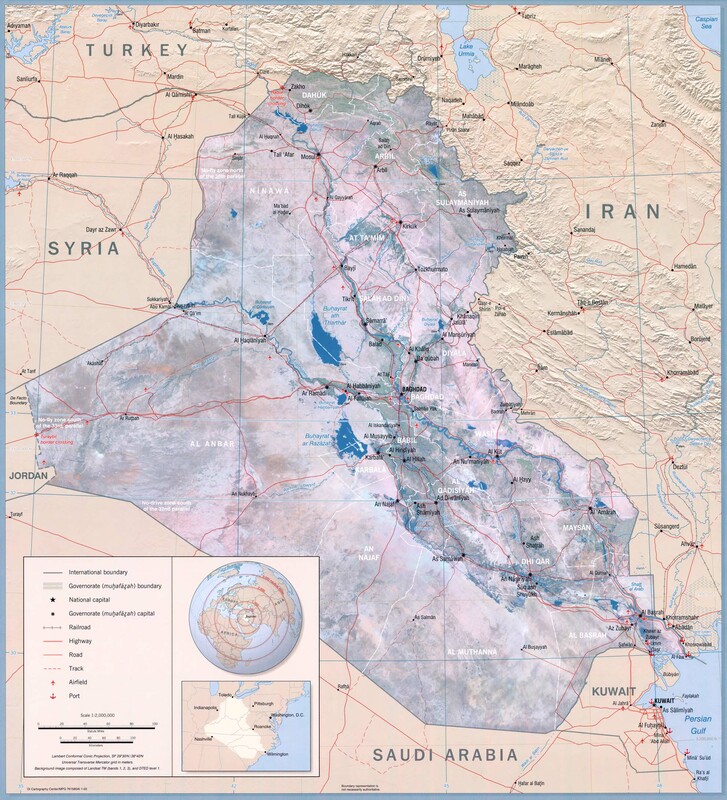 It is important to understand that the dispute in Kurdistan is not with the government in Baghdad, which has no sway in Kurdistan, but with the monopoly on power of the two parties which have long controlled the region. The Goran movement, which has arisen to challenge them, is the focus of both protests and retaliation. CNN, in a non-bylined story, discusses the recent protests in Iraq. In addition to the unrest in Kurdistan, efforts are underway to organize a large protest in Baghdad for next Friday, following a relatively small demonstration on the 18th. PM al-Maliki has said a permit will likely be issued, but also refers to unnamed foreign influences on the demonstrators. Iran will increase its exports of electricity to Iraq. ERBIL, Iraqi Kurdistan: Nearly eight months after the Independent Human Rights Commission Law was passed by the Iraqi Kurdistan parliament, the commission is yet to be formed. The Ministry of Human Rights (MHR) has been defunct for 16 months, but yet the Kurdistan Regional Government (KRG) continues to pay the salaries of its 370 former employees. The KRG also pays rent for the former MHR building in Erbil, although the ministry is no longer in existence. So far, the total amount of the ministry’s salaries and rent since its disbandment is 2.5 billion Iraqi dinars (approximately US$2.1 million). Tavga Omar, former director general of the MHR, continues to occupy her position in the non-existent ministry. She told Rudaw that Kurdistan’s Human Rights Commission (HRC), which was endorsed by the parliament, had not yet been set up and the former ministry’s departments had not actually been disbanded in practice. The governor of Kunar Province says that NATO attacks, mostly air strikes, have killed 63 civilians in recent days. Note: Other accounts give the number as 64. Governor Fazlullah Wahidi says many women and children are among the dead. NATO claims to have killed "insurgents," but is investigating. Death toll in the attack on Saturday on the Kabul Bank branch in Jalalabad now stands at 38. Five armed men entered the bank as soldiers were collecting their pay and started shooting. Four of them detonated suicide vests, and one was captured. "Among those killed in Saturday's attack in Jalalabad were 21 members of the Afghan national security forces, including 13 policemen and seven soldiers. The other 17 killed were civilians. A total of 71 people, mostly civilians, were wounded." France announces one of its soldiers was killed and two injured on Saturday by an anti-tank weapon, near Kabul. The DoD is reporting a new death unreported by the military. Airman 1st Class Corey C. Owens died from a non-combat related incident at Al Asad Air Base, Iraq on Thursday, February 17th. The DoD is reporting another new death previously unreported by the military. Airman 1st Class Christoffer P. Johnson died from a non-combat related incident somewhere in Southwest Asia on Thursday, February 17th. Nato is reporting another two deaths in two released from the same attack which killed a German soldier from an apparent ANA insurgent attack attack in the Pul-e Khumri district, Baghlan province, Afghanistan on Friday, February 18th. Here's the German military release. 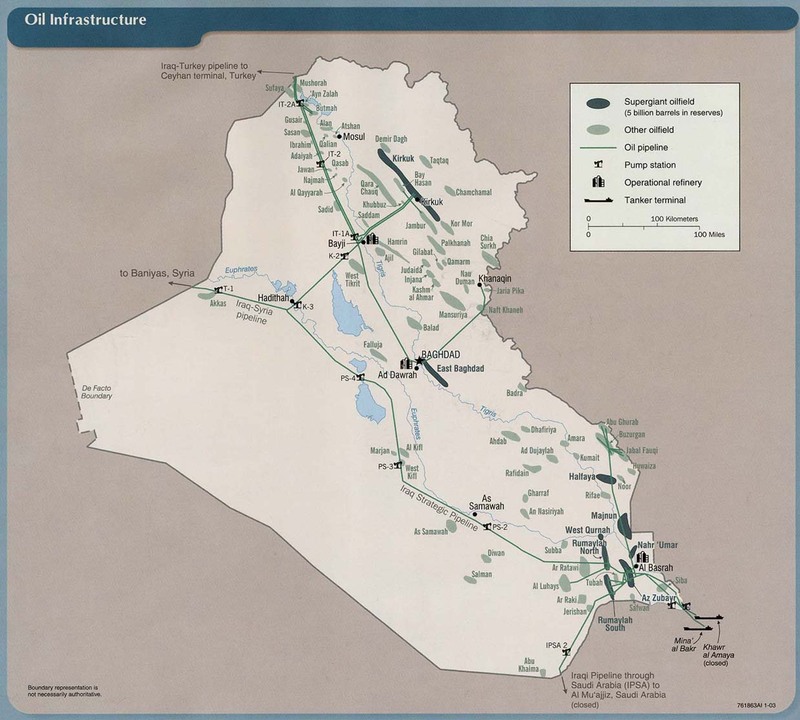 #1: An attack damaged a disused oil pipeline, in Diyala province, north of the Iraqi capital Baghdad, oil production official Saqban al-Tamimi said on Saturday. "An explosive device damaged an oil pipeline near the village of Dinaya on Thursday at 4 am (0100 GMT)," Tamimi told AFP, adding that the pipeline linking the Naft Khana field to the Dora refinery in south Baghdad had been closed since 2003. #1: At least three civilians have been injured in an improvised explosive charge (IED) blast on Saturday in West Iraq's Anbar Province's city of Falluja, a security source said. "An IED, stuck to a civilian's car in central Falluja, has blown up wounding three civilians, who were driven to hospital," the security source told Aswat al-Iraq news agency. #1: Eight people have been killed and 56 wounded in an attack claimed by the Taliban on a bank in Jalalabad, eastern Afghanistan, a hospital official told AFP. Saifullah Khan Ebrahimkhil, the chief of the main hospital in the city, said the casualties included police who it is thought may have been collecting their salaries at the bank. "In total there are 56 injured and eight dead. Most of the injured and dead are hit by AK-47 rounds," Ebrahimkhil said. #2: Pakistani Taliban confirmed Saturday that they have killed a former intelligence officer, who was held hostage last year in the North Waziristan tribal region, local TV channels reported. Colonel Imam, a former officer of the army agency Inter- Services Intelligence (ISI), was abducted along with three others on March 2010 when they were en route to North Waziristan tribal region. According to the reports, the banned Tehrik-i-Taliban Pakistan said they will soon release a video to prove the death of Colonel Imam. NATO is reporting the death of an ISAF soldier from an insurgent attack in an undisclosed location in eastern Afghanistan on Thursday, February 17th. NATO is reporting the death of an ISAF soldier from an IED attack in an undisclosed location in southern Afghanistan on Friday, February 18th. NATO is reporting the death of an ISAF soldier from an apparent ANA insurgent attack attack in the Pul-e Khumri district, Baghlan province, Afghanistan on Friday, February 18th. News reports that an Afghan army soldier opened fire on a vehicle killing a German soldier and wounding eight others. National Guard (In Federal Status) and Reserve Activated as of February 15, 2011 - the total National Guard and Reserve personnel who have been activated to 89,724, including both units and individual augmentees. #1: The death toll from a suicide bombing in Iraq's eastern Diyala province on Thursday has risen to eight, while 30 others were wounded, a provincial police source told Xinhua. "The latest report showed that eight people were killed and 30 others were wounded in the blast, while eight nearby cars were totally destroyed," the source from Diyala's operations command said on condition of anonymity. The attack occurred when a suicide bomber drove his explosive- laden car into a police checkpoint near the town of al-Maqdadiyah, some 100 km northeast of Baghdad, he said. #1: Two gunmen opened fire in a drive by shooting on Thursday night on the Imam of a mosque that belongs to Al Sadr Front, a police source in Karbala told Alsumaria News. Sheikh Jasem Al Mutairi in Ain Al Temer District, western Karbala, was targeted as he was getting out from the mosque after night prayer. He was killed on the spot. #1: Kurdish security guards opened fire Thursday on a crowd of protesters calling for political reforms in northern Iraq, killing at least two people, officials said, showing even war-weary Iraq cannot escape the unrest roiling the Middle East. The demonstration in Sulaimaniyah. A local police official and a hospital official said two people were killed, and the medical official said 47 people were injured. Both said the deaths and injuries were the result of shootings. The officials spoke on condition of anonymity because they were not authorized to brief the media. #1: A massive car bomb blew up Friday on the outskirts of a city in eastern Afghanistan, killing at least eight people and injuring dozens. The thunderous explosion rocked the edge of Khost city, the capital of the eastern province of the same name, which is the site of a large American-run military base known as Camp Salerno. Khost's provincial police chief, Gen. Abdul Hakim Isahaqzai, said authorities had been tipped off about a planned bombing, and hunted fruitlessly all night for the would-be attacker. At about 9 a.m., a suspicious-looking SUV-type vehicle blew past a police checkpoint about half a mile from the city center. When police fired what were described as warning shots, the driver detonated his explosives. Two police officers at the checkpoint were among the eight dead. #2: At least one person was killed and four others injured early Friday morning in a car bomb explosion near a police station in northwestern Pakistan, police said. The driver tried to ram the explosive-laden car into the police building in Bannu city, but it went off before reaching the target, according to the police. #3: A policeman and a civilian were killed on Thursday as a roadside bomb struck a police van in Kunduz province, 250 km north of the Afghan capital Kabul, police said. "The gruesome incident happened in Chardara district at 3:30 p. m. local time as a result one policeman was killed and another sustained injuries," deputy to provincial police chief Abdul Rahman Haqtash told Xinhua. One passerby was also killed in the blast, he added. 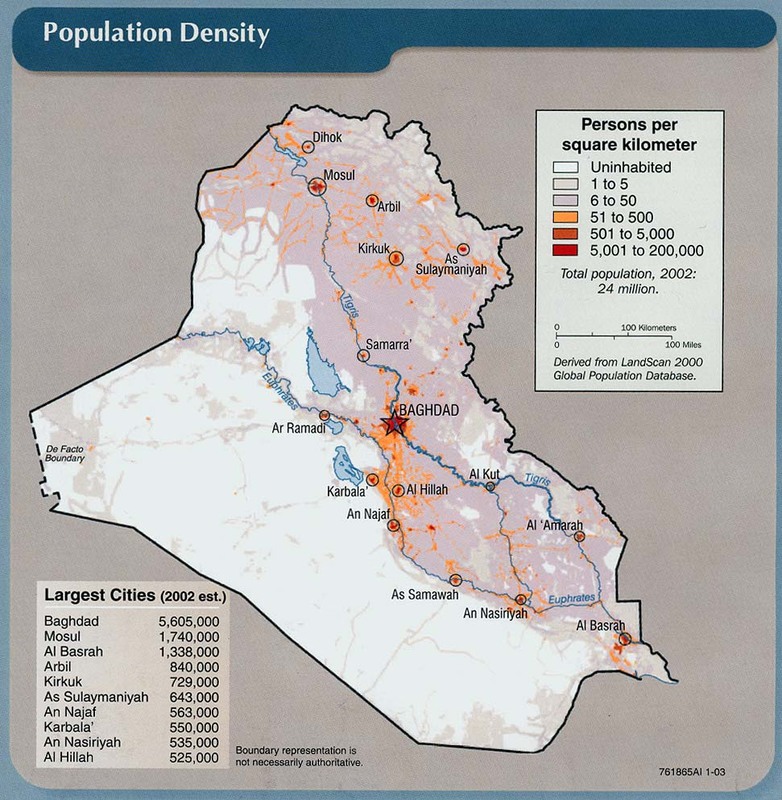 Civilian death study rates "dirty war" in Iraq - snip - U.S.-led coalition forces showed higher rates of indiscriminate killing of women and children than insurgents, a study has found. #1: Three missiles landed near the US Embassy in the green zone, sources reported. #2: Unknown gunmen killed a college professor inside his house in Al Khadraa’ District, western Baghdad. #3: Gunmen stabbed three women to death inside their house in New Baghdad District. #4: Security forces managed on Wednesday to defuse two bombs and detonate two others in eastern Baghdad, according to a security source. #1: Two members of awakening forces were wounded in a bombing targeting a car in Al Latifiya region, southern Baghdad. #1: Ten Iranian pilgrims were wounded in Al Taji District on Thursday morning. #1: gunmen in a speeding car shot and killed a spokesman for the provincial government in the northern city of Mosul, 225 miles (360 kilometers) northwest of Baghdad, police said. #2: In a separate incident, armed men gunned down Ali Fakhr al-Din, a Muslim cleric, after they stormed his house in al-Rasheediyah neighborhood in northern Mosul early in the morning, the source said. #1: A son of the Anbar customs was kidnapped on Wednesday by gunmen in east of Ramadi, according to a security source. "Unknown armed men kidnapped today a son of an employee working for the Anbar Customs in al-Habaniya district, east of Ramadi, and took him to an unknown place after storming his house and stole an amount," the source told Aswat al-Iraq news agency. #1: An Afghan police officer on a bicycle was run over and killed by a NATO vehicle in Kabul, a spokesman for the Kabul police said. NATO is reporting the death of an ISAF soldier from a non-combat related injury in an undisclosed location in eastern Afghanistan on Tuesday, February 15th. News reports that a New Zealand soldier died from a vehicular accident near the village of Ferosak in the northeast of Bamiyan province. Three additional soldiers were injured in the accident. News reports the death of an American soldier from a non-hostile related incident in an undisclosed location in central Iraq on Tuesday, February 15th. Iraq Plans New Oil and Gas Auction . #1: At least 10 mortar shells were launched on Tuesday night against a military position, comprising U.S. and Iraqi police forces east of Baghdad, a security source said on Wednesday. "About 10 mortar shells were launched on Tuesday night on a joint position for U.S. and Iraqi police forces in east Baghdad's former General Security Directorate," the security source said, but did not define whether the attack had coased any casualties among the American and Iraqi police forces. #1: One policeman was killed and another one was wounded in a bomb blast in northwest of Baaquba, a security source said on Tuesday. “An explosive device went off on Tuesday (Feb. 15) targeting a police vehicle patrol near the main road of al-Hadid village, northwest of Baaquba, killing a cop and injuring another one,” the source told Aswat al-Iraq news agency. He did not give more details. #1: A spokeswoman for a southern Iraqi province says around 2,000 people attacked government offices and tried to set fire to the governor's house to protest often shoddy public services. Sondos al-Dahabi said Wednesday that 13 people were injured in the protest in the city of Kut, 100 miles (160 kilometers) southeast of Baghdad. She says protesters threw stones at the provincial council headquarters, set a trailer outside on fire and rushed inside the building. They also went to the governor's headquarters and his house, trying to set it on fire. Al-Dahabi says the governor was not at home. #2: An interpreter of the U.S. engineering team working in Wassit was killed by a gun shot in eastern Kut, a source close to the U.S. army said on Tuesday. “An Iraqi interpreter was killed on Tuesday afternoon (Feb. 15) by a sniper while accompanying Provincial Reconstruction Team (PRT) in al-Damouk neighborhood in eastern Kut,” the source told Aswat al-Iraq news agency. #1: A U.S. Army patrol had been target for an improvised explosive device (IED) close to a checkpoint north of the Shiite holy cit of Karbala on Wednesday, eyewitnesses said. "We heard the noise of an exmplosion, which was due to an IED blast that targeted a U.S. Army patrol, coming back from northern Karbala on Wednesday," the eyewitnesses said, adding that one of the patrol's vehices had been the target of the attack, but failed to report any material or human losses. #1: Gunmen stormed a house in Iraq's ethnically divided northern oil hub Kirkuk on Tuesday and kidnapped three Turks who were inside, police said. The five attackers entered the house in the south of the city in which eight Turkish workers and engineers were living and snatched three of them, a police officer said, speaking on condition of anonymity. He said the kidnappers were armed with four pistols and a Kalashnikov rifle, and carried out the raid at around 8:30 pm (1730 GMT). #1: One civilian and two guards were wounded on Tuesday in a hand grenade explosion in the city of Mosul, a police source said. “An unknown gunman threw a hand grenade at the back door of the Central Bank in al-Jomhouriya street in the city of Mosul, injuring two of the bank’s guards and a passing civilian,” the source told Aswat al-Iraq news agency. #1: A tribal chieftain of west Iraq's Ramadi city and his brother have been killed by a group of unknown armed men on Wednesday, an Abar Police source said. "A group of unknown gunmen, dressed in military uniform, attacked the house of Sheikh Ali Dayih in Garban area of Habbaniya city, east of Ramadi, instantly killing him and his brother," the police source told Aswat al-Iraq news agency. #1: Four Afghan civilians have lost their lives when an errant missile fired by US-led forces struck their house in Afghanistan's southern province of Helmand. The US-led forces fired a missile which missed its target and hit the residential building. Parts of the structure were damaged in the incident, a Press TV correspondent reported on Wedneday. The British MoD is reporting the death of a British ISAF soldier from an IED attack in the Nahr-e Saraj district, Helmand province, Afghanistan on Monday, February 14th. This was reported by NATO in this release yesterday. NATO is reporting the death of an ISAF soldier from an IED attack in an undisclosed location in northern Afghanistan on Tuesday, February 15th. #1: "Four people were killed in two bomb explosions today in a marketplace in Zafaraniyah," a hospital source in the southern Baghdad district told AFP. "We received the bodies of three men and one woman, as well as six wounded." #1: The policeman was killed when a bomb exploded outside his home in the city of Baquba in the restive Diyala province north of the capital, a provincial police source said. #1: Gunmen killed a civilian in front of his house in northern Kirkuk, 250 km (155 miles) north of Baghdad, a source in the Kirkuk security operations centre said. #2: A grocery store owner was stabbed to death inside his shop in southern Kirkuk, a source in the Kirkuk security operations centre said. #1: An Iraqi civilian has been injured in an improvised explosive device (IED) blast in northern Iraq's Mosul city on Tuesday, a Ninewa security source said. "A civilian has been injured in an IED blast in central Mosul's Bab-Ligish area on Tuesday," the security source told Aswat al-Iraq news agency, adding that the blast took place in a popular area and did not target any security force. #1: Two policemen were injured in a remote-controlled explosion in southwest Pakistani city of Quetta on Tuesday, local media reported. According to Urdu TV Duniya report, a local police van was on its routine patrol around the city when a remote-controlled bomb went off near it. A police official and another policeman were wounded in the blast and the car was partially destroyed. The British MoD is reporting the deaths of two British ISAF soldiers from a non-hostile incident at Camp Bastion, Helmand province, Afghanistan on Monday, February 14th. NATO is reporting the death of an ISAF soldier from an IED attack in an undisclosed location in southern Afghanistan on Monday, February 14th. #1: Gunmen using weapons equipped with silencers opened fire at a police patrol, killing one policeman and wounding two others in Tarmiya, 25 km (15 miles) north of Baghdad, an Interior Ministry source said. #1: Two blasts took place southwest of Kirkuk on Sunday evening, leaving 20 vehicles ablaze and damaging several houses, a senior security official said. “Al-Zab district, (85 km) southwest of Kirkuk city, was rocked by two blasts near a store and a house that belongs to a leader of the sahwa (awakening) tribal fighters,” Brig. Sarhad Qader, the director of the Kirkuk Districts Police Department (KDPD), told Aswat al-Iraq news agency. “The two blasts left 20 vehicles on fire and caused damage to the house of a sahwa leader and nearby houses, but left no casualties,” Qader added. Four persons have been injured and 20 cars were set ablaze in three explosions in Zab town, southwest of northern Iraq's oil-rich city of Kirkuk on Sunday night, a Kirkuk Police director said. "Three consecutive explosions took place, at 10 pm local time Sunday night, in Zab town, some 85 km to the southwest of Kirkuk, one inside a car show, the second close to the residence of al-Sahwa (Awakening) commander and the third inside the town's main market," Brigadier Sarhad Qader told Aswat al-Iraq news agency. He said that the result of the explosions had been 4 civilians injured and 20 cars set ablaze inside the car show, along with material damage to the house of the Sahwa commander and some marketing shops in the town. "Preliminary investigations have shown that the first blast inside the car show, belonging to Haj Tahsin Najim, had been caused by a Katusha rocket that fell on the car show, whilst the causes of the other explosions were not known till late Sunday night," the Police officer said, giving no further details. #2: In Kirkuk, an armed group kidnapped Christian citizen Iyad Daoud in front of his house in Al Khadraa District, southern Kirkuk. Daoud was driven to an unknown destination. #1: An armed man has been killed, in an improvised explosive device (IED) blast, while trying to plant it close to a traffic policeman's house in Falluja city in western Iraq's Anbar Province, a police source said on Monday. "An armed man, trying to plant an IED in a traffic policeman's house in central Falluja's Teachers District, was killed, while trying to blow up the explosive device," the security source said. #2: A local government-backed militia leader, Hikmat al-Jumaili, was wounded when a roadside bomb blast struck his vehicle on Saturday in Garma, 30 km (20 miles) northwest of Baghdad, police said. #1: A Taliban suicide attacker targeted a popular shopping mall in the heart of the Afghan capital Kabul on Monday, killing two guards and wounding at least two other people, officials said. Interior ministry spokesman Zemarai Bashary told AFP that the attacker blew himself up after he was stopped at the gates of the Kabul City Centre, Afghanistan's first modern-style indoor shopping complex that opened in 2005. "It was a single blast. A suicide bomber tried to enter the mall. He was stopped by the guards at the entrance, he blew himself up and killed the two armed private guards and injured two other people nearby," he said. Suicide bomber targeting Shiite pilgrims at a bus depot kills 48 on Saturday. The pilgrims had gathered to mark the death of Hasan al-Askari, the 11th Imam. (Note: The destruction of the golden dome of the mosque in Samarra commemorating the Askari Imams was a major trigger of sectarian violence in February, 2006. One police officer killed, 2 injured in an attack using silenced weapons. Hundreds demonstrate in Samawa, Muthanna Province on Saturday to demand improved government services and economic opportunity. Meanwhile, intensive security measures have been implemented in Ramadi in advance of a planned demonstration there. Note that these are highly disparate parts of the country. In response to recent protests, the government says it will provide the first 1,000 KwH of electricity free to each consumer. Of course, it only helps if you actually have electricity . . .
Parliament approves 8 ministerial nominations. However, nominations for the sensitive security-related posts have yet to be made. The PM retains these responsibilities. Death toll in attack on police base in Kandahar yesterday now stands at 18, mostly police. Three killed in a clash between insurgents and foreign forces in Kunar. Although this article does not make it entirely clear, it implies the dead were civilian bystanders. #1: Two policemen and a sahwa (awakening) tribal fighter were wounded when an improvised explosive device blast targeted a police patrol west of the Iraqi capital Baghdad on Friday, a security source said. “An IED went off near a federal police patrol on al-Ta’ie street, al-Jihad neighborhood, west of Baghdad, leaving two policemen wounded,” the source told Aswat al-Iraq news agency. #1: Security forces in northern Iraq found a mass grave containing scores of people killed during the height of sectarian violence last decade, police told CNN on Saturday. At least 153 bodies were discovered in Buhriz, just south of Baquba in Diyala province -- a region north and east of Baghdad that endured waves of violence during the Iraqi war. Baquba police Lt. Col. Ghalib Atiya al-Jabouri said the victims included civilians, police and soldiers slain during the height of sectarian violence between 2005 and 2008. 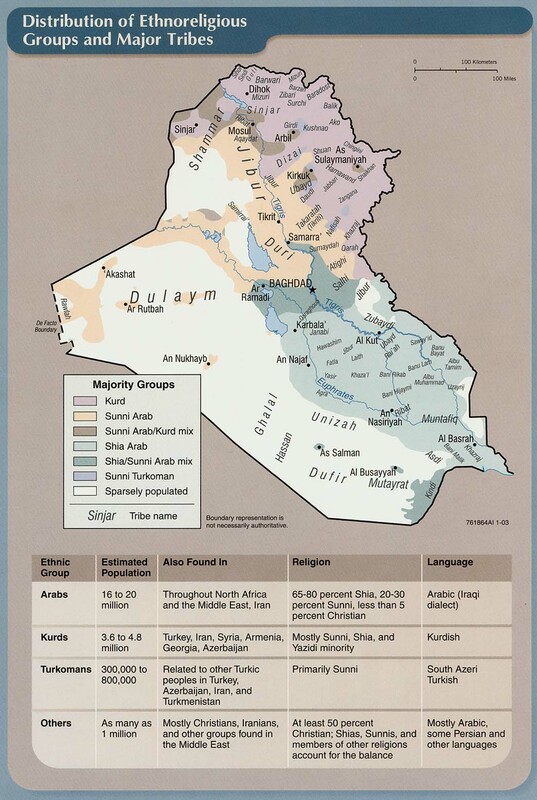 Iraq had been engulfed by fighting between Sunni and Shiite Muslims. #2: A civilian was wounded due to a bomb stuck to a car parked next to a residential house in Al Mafrak region, western Baaquba. #1: Two civilians were wounded when an improvised explosive device (IED) went off near their vehicle north of Baghdad on Friday, a local security source said. “A roadside IED planted in al-Taji, north of Baghdad, went off on near a civilian vehicle on Friday (Feb. 11), leaving two persons wounded,” the source told Aswat al-Iraq news agency. #1: A roadside bomb went off by the house of the government-backed Sunni Sahwa militia leader for Jellam village and wounded two of his sons, police said. 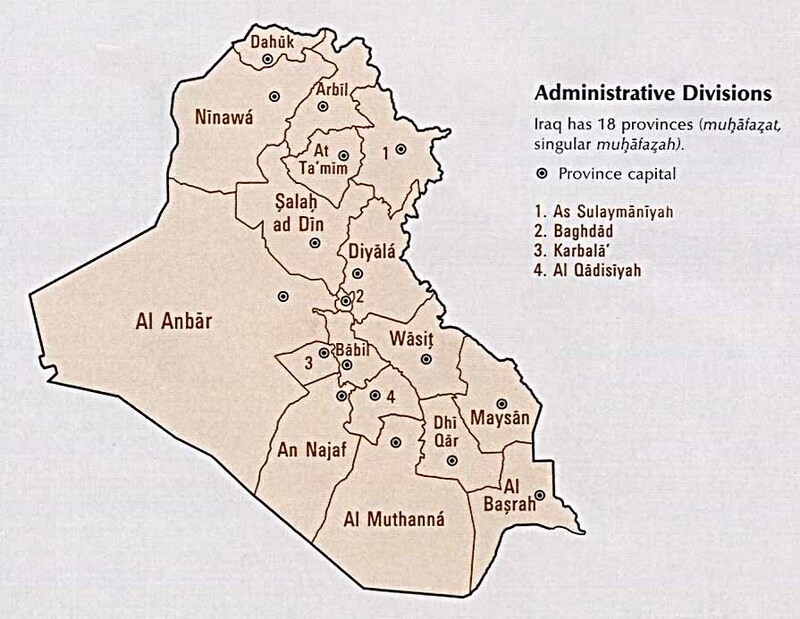 Jellam is south of Dour, a small town near Tikrit, 150 km (95 miles) north of Baghdad. #1: A student has been killed in an explosion of a "strange device," south of northern Iraq's oil-rich city of Kirkuk on Friday night, according to a source representing the Joint Coordination Center in Kirkuk on Saturday. "A strange device, belonging to the former Iraqi Army, blew off in Yaychi village, 20 kms southwest of Kirkuk, when a 21-year-old student had been digging in the area of blast on Friday night," the source told Aswat al-Iraq news agency. #1: Taliban insurgents attacked the provincial police headquarters in the southern city of Kandahar on Saturday, firing rocket-propelled grenades and touching off an ongoing street battle that has left at least one person dead. Zalmai Ayubi, a spokesman for the provincial governor of Kandahar, said several militants occupied a building across the street from the headquarters and are now surrounded by police. The police post is located in central Kandahar, not far from the governor's offices. At least one person was killed and 26 were wounded, Ayubi said. Ahmad Wali Karzai, head of the provincial council, said the five to six story building includes a wedding hall and shops. He said two or three militants disguised in police uniforms entered the building and began firing rocket-propelled grenades at the police headquarters. An Associated Press reporter nearby said multiple explosions rocked the neighborhood around the station. At least one of the initial blasts was followed by bursts of automatic gunfire, and that Afghan police were fighting insurgents in an ongoing gunbattle. Exchanges of gunfire occasionally died down, only to pick up again several minutes later. Five people were killed and at least 24 civilians were injured when armed attackers entered a hotel and targeted a police headquarters in southern Afghanistan Saturday, a spokesman for the governor of Kandahar province said. The attackers opened fire from inside a hotel across from the police headquarters in Kandahar, the province's information center said. Zalmay Ayoubi, the governor's spokesman, said the dead included a police officer, an Afghan soldier and a civilian. Two of the suspected attackers were also killed, he said. Gunfire was still being exchanged at the scene Saturday afternoon. #2: A British photographer has been seriously injured by a roadside blast while embedded with the U.S. Army in southern Afghanistan. Giles Duley, a Londoner who specializes in covering humanitarian issues, was flown back to the U.K. after undergoing multiple amputations at the United Nations hospital in Kandahar following the incident on Monday. The New York Times reported that he had stepped on a makeshift bomb while accompanying a foot patrol of U.S. soldiers from the 1st Squadron, 75th Cavalry Regiment, and Afghan troops. His brother, David Duley, was quoted as saying the journalist had lost one leg below the knee and another above the knee, while his left arm was severed above the elbow. However, he had escaped any internal injuries and has been conscious and lucid during treatment in the Queen Elizabeth hospital in Birmingham after being flown back to the U.K.
#1: Four Sahwa fighters were killed and three citizens were wounded during clashes over properties in south of Kirkuk, commander of the Kirkuk Districts Police Department (KDPD) said on Friday. “Problems over properties in al-Bashier village between Arabs and Turcomans, flared up armed clash between them on Friday (Feb. 11), during which four Sahwa fighters were killed and three Turcomans were wounded,” Brigadier Sarhad Qader told Aswat al-Iraq news agency. “KDPD, police and army forces intervened to stop any deterioration in the situation,” he added, without giving further details. #1: An Iraqi army soldier was wounded when an improvised explosive device (IED) blast targeted his patrol in northern Mosul city on Thursday, a military source said. “An IED blast took place near an Iraqi army patrol in al-Baladiyat neighborhood, northern Mosul, today (Feb.10), leaving a soldier wounded,” the source told Aswat al-Iraq news agency. #1: Armed men using guns with silencers shot dead a mobile shop owner late on Thursday in central Falluja, 50 km (32 miles) west of Baghdad, police said. #1: Pakistan's military said it had killed 11 militants in the Swat valley, raising fears that rebels are again infiltrating the one-time tourism hub. "Security forces foiled an attempt to disrupt peace in the Swat valley when they killed 11 terrorists overnight," a military spokesman said. The spokesman said the fighters had fled Mohmand, a nearby tribal district where Pakistan is waging its latest air and ground offensive against homegrown Taliban blamed for near daily bomb attacks in the northwest. #2: Separately, police in the town of Mardan said they had picked up five bodies from a field one day after a teenage suicide bomber dressed in school uniform killed 31 army recruits at a parade ground outside the town. A chit was attached to each body, listing the name and hometown of the deceased, and one scrap of paper said "long live Taliban Pakistan," said local police officer Samad Khan. #3: Four small blasts on railway tracks in southern Pakistan disrupted train service from the port city of Karachi to other parts of the country Friday morning, railway officials said. General Manager of Pakistan Railways, Muhammad Ashfaq Khattak, said that four blasts of low intensity partially damaged tracks in Karachi and three other places in interior Sindh, of which Karachi is the capital. Railway officials said that train services were suspended after rail tracks in Karachi, and two other main cities, Hyderabad and Nawabshah, were blown up with explosives. Two persons were injured in the blast which hit the railway track near the Baloch Colony bridge area of Karachi, reports and officials said. Train service to other parts of the country from Karachi was suspended. Railway tracks were also blown up in two bomb blasts near Hyderabad and the explosion took place in other main city Nawabshah.No one was hurt in these blasts. Explosions in all three cities occurred within minutes of each other and appear to be a coordinated attack, local media reported. #4: Also late Thursday night, unidentified men fired rockets on a train in southwestern Balochistan province and injured its driver and damaging its engine, officials said. The British MoD is reporting the deaths of two British ISAF soldiers from a small arms fire attack in the Nad 'Ali district, Helmand province, Afghanistan on Wednesday, February 9th. News reports that at least one additional soldier was wounded in the attack. note these are from the ISAF release posted yesterday. #1: An Iraqi policeman and two civilians have been injured in an improvised explosive charge (IED) blast in northern Baghdad on Wednesday night, a Baghdad security source said. "An IED, targeted against a police patrol in northern Baghdad's al-Suleikh district, blew up on Wednesday night, wounding a policeman and two civilians, who were close to the venue of the attack that caused material damage to nearby areas," the security source told Aswat al-Iraq news agency on Thursday. #2: The body of a man who had been tortured and shot was found in the Shaab district of northern Baghdad, an Interior Ministry source said. #1: Four persons have been injured in an armed attack on the Mayor's house of Buhriz town in northeastern Iraq's Diala Province on Wednesday night, a security source said on Thursday. "A group of armed men, carrying guns with silencers attached, attacked the residence of Buhriz town's Mayor, Hassan Alwan, 5 km to the south of Baaquba, the center of northeastern Iraq's Diala Province, on Wednesday night, wounding four of the Mayor's family members," the security source said. He also said that an explosive charge blew up on the main road, leading to the Mayor's residence, targeting at a police patrol, but without causing any injuries. #1: Four rockets, targeting an Army base in southern Iraq's Nassiriya city, fell on the base on Wednesday night, but caused no human or material losses," the U.S. Army's Media Spokesman, Alan Brown said. "The four rockets, aimed at Imam Ali Base in Nassiriya, passed over the historic Ur Zigurrat. This act is considered a threat to the zigurrat," Brown told reporters, adding that one of the rockets fell on the Iraqi Air Force's 70th squadron, but caused no damage. #1: A car bomb ripped through a Shiite Muslim procession just north of Baghdad on Thursday, killing at least six worshippers, a police officer said. Forty others were wounded in the attack, which struck on the outskirts of the mostly Shiite town of Dujail at 1:30 pm (1030 GMT), a police major said, speaking on condition of anonymity. Among the dead and injured were women and children, the officer said, without giving further details. The pilgrims were walking to the city of Samarra to commemorate the death of the 11th imam, Hassan al-Askari, at his gold-domed shrine in the majority-Sunni city. #1: “An improvised explosive device was detonated on Wednesday targeting a police vehicle patrol in Sheikh Fateh region, western Mosul, injuring a policeman,” the source told Aswat al-Iraq news agency. #2: “The second blast occurred in al-Zanjili region, targeting another police vehicle patrol, injuring a 14-year-old girl,” he said. #3: A roadside bomb exploded near an Iraqi army patrol, wounding a soldier, in northern Mosul, 390 km (240 miles) north of Baghdad, police said. #1: Two soldiers were killed and two more were wounded in a blast in north of Talafar, a security source said on Wednesday. "An improvised explosive device went off on Wednesday (Feb. 9) targeting an army vehicle patrol on Talafar-al-Ayadiya road, north of Talafar, killing two soldiers and injuring two more," the source told Aswat al-Iraq news agency. #1: Three Iraqi soldiers and an Army officer have been injured in an Improvised Explosive Device (IED) blast in Falluja city in Western Iraq's Anbar Province on Wednesday, an Anbar security source said. "An IED blew up in east Falluja's Garma village, targetted against an Iraqi Army patrol, wounding four of its men, including an officer with a leautenant rank," the source told Aswat al-Iraq news agency. #1: A suicide bomber linked to the Pakistani Taliban attacked soldiers during morning exercises at an army training camp in the northwest Thursday, killing 31 troops and wounding 42 others. There were conflicting accounts about the identity of the bomber. The army and police said he was a teenager in a school uniform, but the Pakistani Taliban claimed he was a soldier at the camp in Mardan town who volunteered for the attack. Senior police official Samad Khan said 31 soldiers died and 42 were wounded, some critically. The army, which tends to release information much slower, put the death toll in an earlier statement at 20. All of those killed were cadets except for one, who was a drill instructor, said the army. #2: In North Waziristan on Thursday, the bullet-riddled bodies of two tribal police officials and a villager were discovered along an open road near the town of Mir Ali, a militant stronghold. A note attacked to the bodies accused them of acting as spies for the U.S., resident Asif Iqbal said. Intelligence officials said the three men had been kidnapped in January. Their bodies showed signs of torture, the officials said, speaking on condition of anonymity because they were not authorized to speak to media. #3: A suicide bomber blew himself up inside a district chief's office in Afghanistan's northern Kunduz province Thursday, killing the official and two other people. The bomber was able to enter the office of Chahar Dara district chief Abdul Wahid Omarkhail by pretending to be looking for work, said provincial government spokesman Mabobullah Sayedi. The blast killed the chief along with a bodyguard and a village elder who was visiting at the time. Five others were wounded in the explosion, said Sayedi and the district chief of police, Gulam Mohyuddin. #4: Militants on Thursday blew up the largest gas pipeline in southwestern Pakistan for a second time this week, again leaving tens of thousands of consumers without gas, officials said. “It was the major pipeline. Militants dynamited it overnight only a few hours after the authorities repaired it,” senior administration official Anwar Durrani told AFP in Balochistan province, which borders Iran and Afghanistan. The pipeline, which links the insurgency-hit province of Balochistan to gas reserves at Sui, was blown up on Tuesday and had been down until repair work was completed late Wednesday, officials said. Enayatullah Ismail, spokesman for the Sui Southern Gas Company, confirmed the fresh attack but said it would take another two days to restore supplies to 200,000 consumers in the province. #5: Troops from the NATO-LED International Security Assistance Force (ISAF) and Afghan forces killed a man who was identified as a Taliban militant, in Wardak province on Wednesday, ISAF said in a statement.